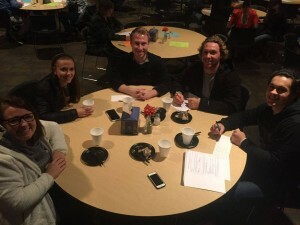 Many students at GC receive scholarships from the college, but where does this money come from? 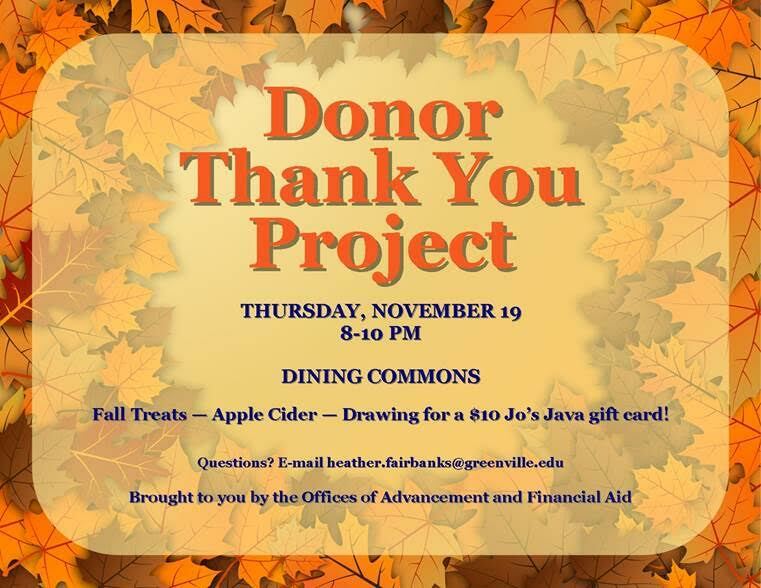 The Donor Thank You Project is an event that takes place on campus every fall, which enables students who receive scholarships from the college the opportunity to write thank you notes to Greenville College donors. This event took place Thursday, Nov. 20 in the Dinning Commons, from 8 to 10 p.m. In previous years, this event has taken place right before Halloween, but due to scheduling issues this year it was a little later, coincidentally right before Thanksgiving. Heather Fairbanks, GC’s Advancement Communications and Events Coordinator stated, “I think it’s a perfect time for students to think about being grateful for the scholarships they receive each year because real people made a decision to give money to Greenville College to help offset the costs of tuition.” In the spring, there is another Donor Thank You Project for the students who receive a scholarship that they might not have in the fall, but the number of students is much smaller so there is not a big event. Graphic from Greenville College Financial Aid. 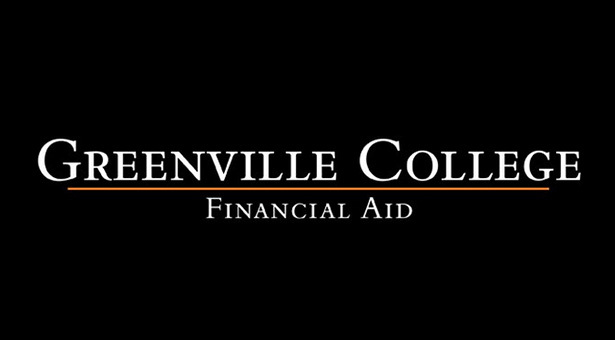 96% of Greenville students receive financial aid. Junior Brent McCollum states, “This is such a good event to have. 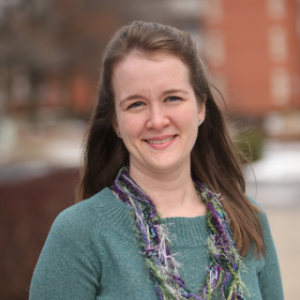 It gets students to think about what a scholarship really means. Someone is sacrificing their personal money to invest in someone they don’t even know. 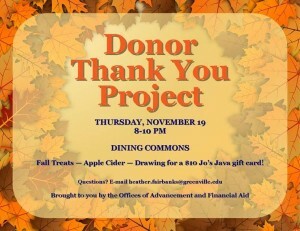 It’s a very selfless thing.” The next time you are looking at your student bill, remember and be thankful for the Greenville alumni and friends of the college who helped you afford your education.